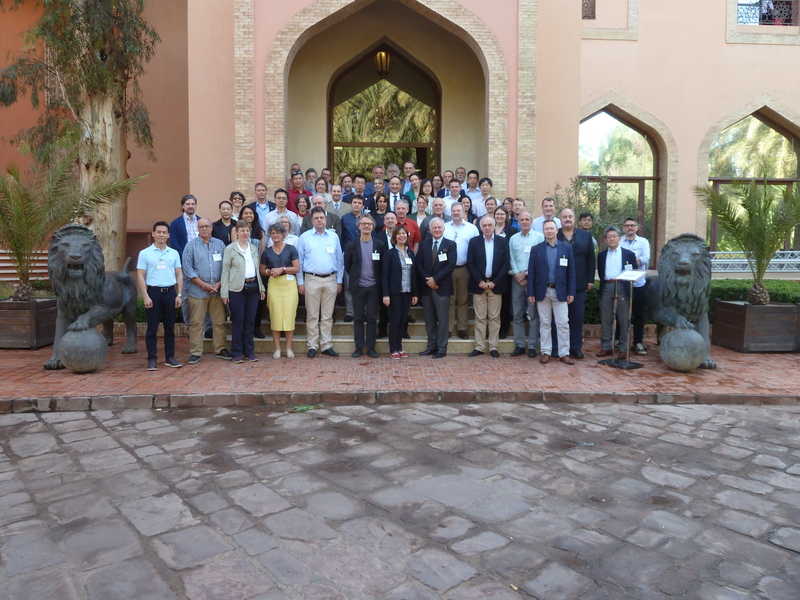 From 18 to 22 March 2019, the Global Climate Observation System (GCOS) held the Joint Panels Meeting in Marrakech, Morocco. This included the 24th session of the Atmospheric Observation Panel for Climate (AOPC-24), the 22nd session of the Ocean Observations Panel for Physics and Climate (OOPC-22), the 21st session of the Terrestrial Observation Panel for Climate (TOPC-21), the 8th Session of the WCRP Data Advisory Council (WDAC-8) and the 10th session of the Joint CEOS-CGMS Working Group on Climate (WGClimate-10). GCOS is a programme co-sponsored by the World Meteorological Organization (WMO), the Intergovernmental Oceanographic Commission of the United Nations Educational, Scientific and Cultural Organization (IOC-UNESCO), the United Nations Environment Programme (UN Environment), and the International Science Council (ISC). It regularly assesses the status of global climate observations of the atmosphere, land and ocean, and produces guidance for its improvement. GCOS expert panels maintain definitions of Essential Climate Variables (ECVs) which are needed to systematically observe Earth’s changing climate. IGRAC researcher Claudia Ruz Vargas attended the meeting as she is one of the two stewards for ECV Groundwater. More information about GCOS is in here: https://gcos.wmo.int/en/home.